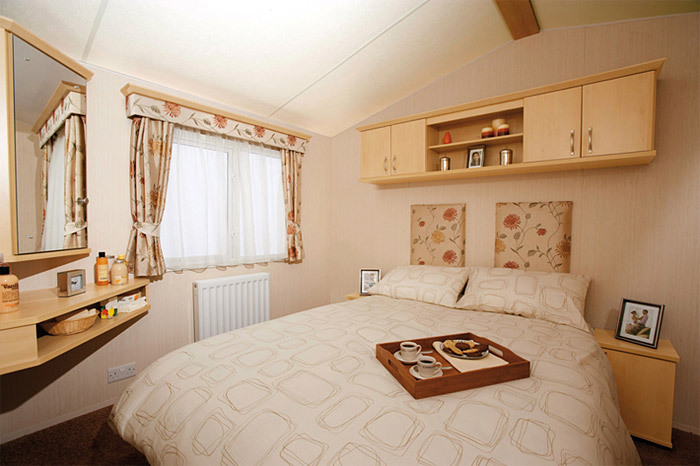 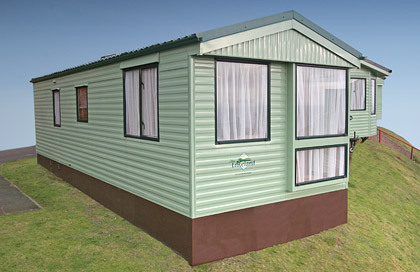 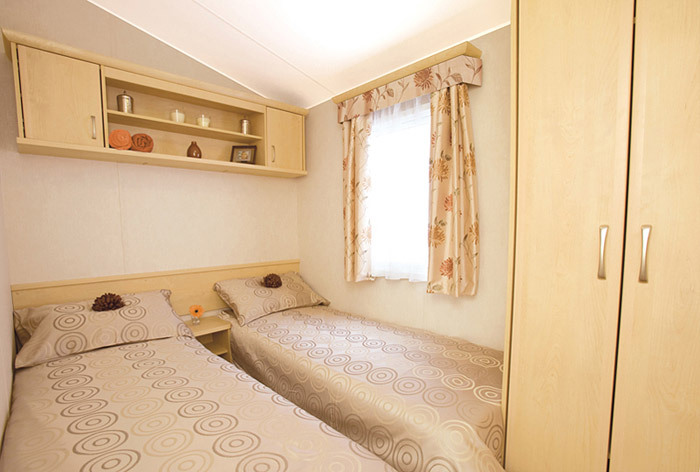 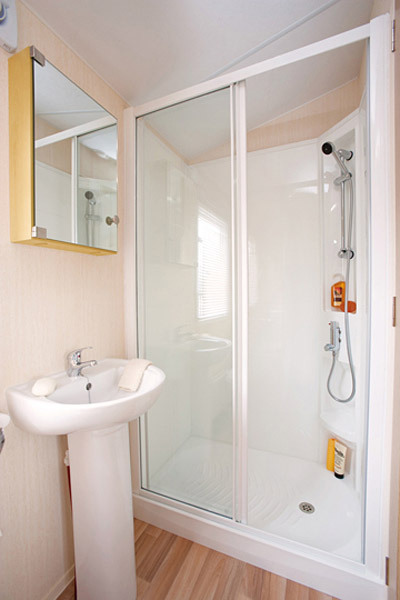 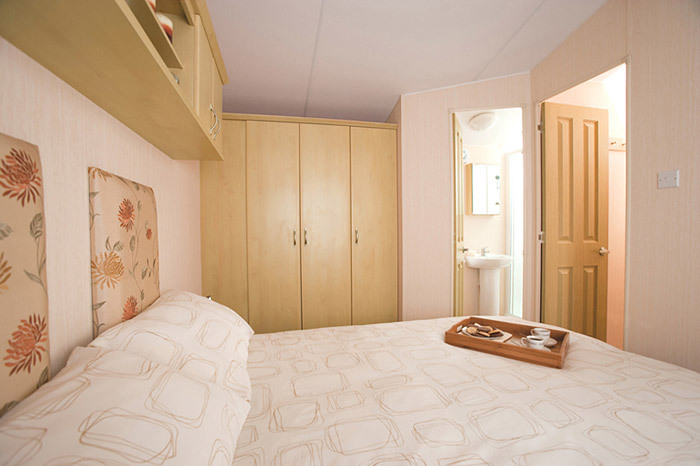 Our three star caravan is a wonderful holiday home with lots of stylish features and obvious appeal. 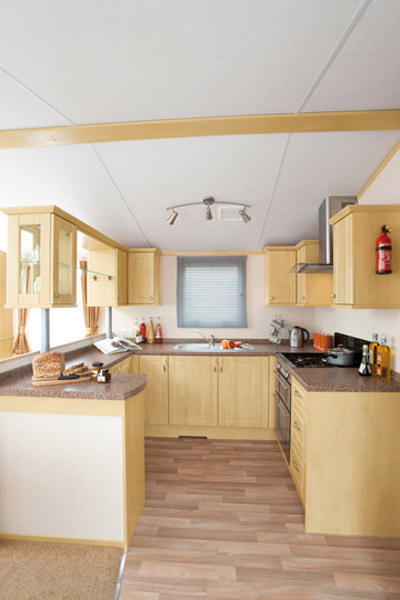 The cosy, well-furnished living area, with sofa-style seating, adjoins a modern fitted kitchen with striking two-colour cabinetwork, perfect for creating family meals or cooking for friends. 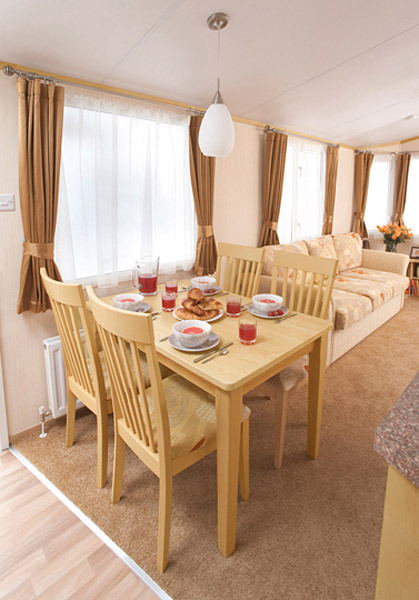 The Lakeland features comfortable dining area with upholstered chairs. 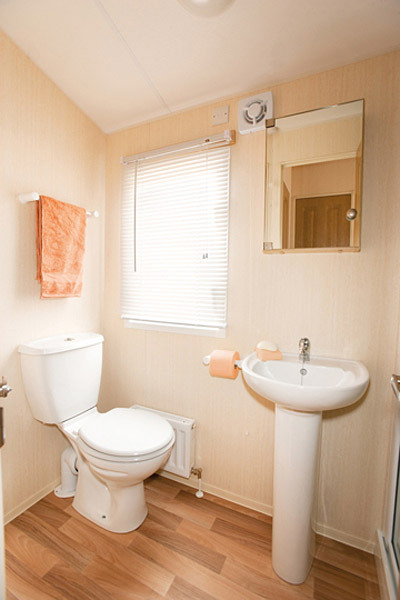 This floor plan is for illustrative purposes only. 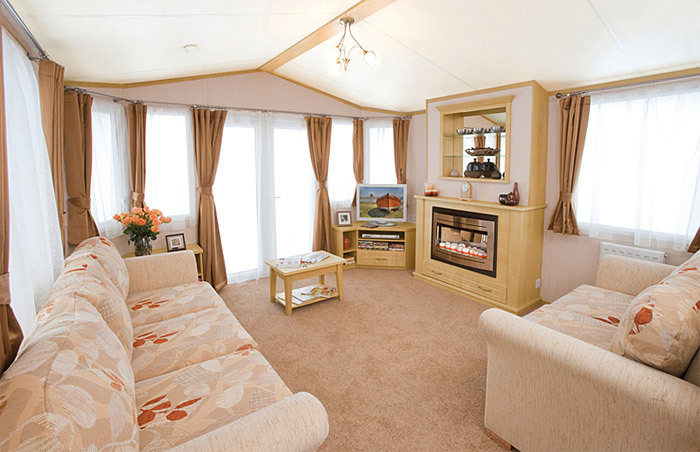 The floor plan below and pictures above are of one of the 3-star caravans sited at Pettycur, but please note there are variations in design and layout within the same hire class, and not all models are identical to those depicted.